I know, we’re already into the fourth day of Advent, but that Sunday after Thanksgiving just comes way too quickly for me. Even with a late start, this is a worthwhile activity. 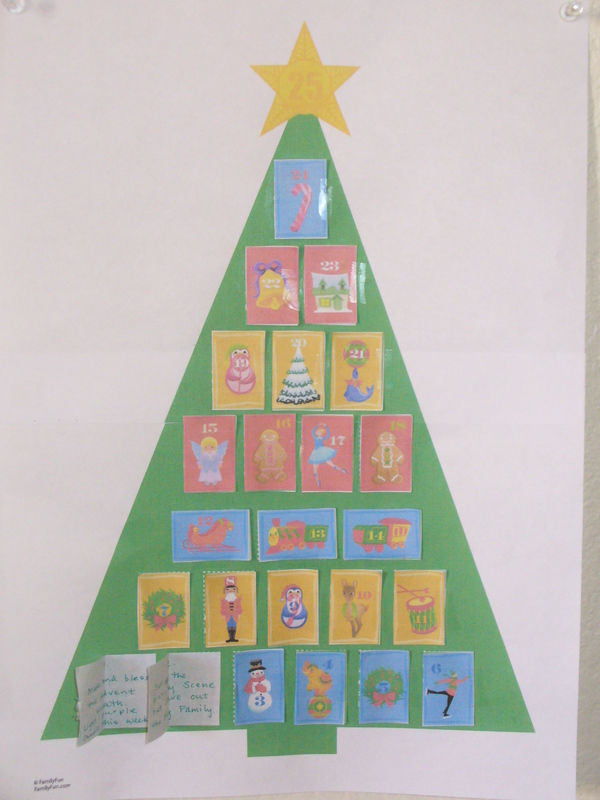 For the past few years my kids and I have created an Advent calendar with the help of Family Fun magazine’s website. Family Fun’s calendar comes with a fun thing to do on each day on the countdown to Christmas — like create a snow scene with shaving cream and action figures or make a gift for your teacher. Some days come with a holiday joke. I like to set a more spiritual tone for Advent, so for our calendar I use Family Fun’s template but put in some of my own activities. I add things like pick a Christmas card and pray for the person who sent it, set up the Nativity Scene, read about the angel’s message to Mary in the Gospel of Luke, and pray the Rosary on the Feast of the Immaculate Conception of the Virgin Mary. I also include our own holiday traditions like take a drive to look at Christmas lights and watch “It’s a Wonderful Life” together. The kids do the cutting and pasting, but I put the activities in secretly so they’re a surprise. It’s a treat every morning for the kids to open the day’s door and make plans for how we’ll carry out the activity that night. And it really does help us to think about preparing the way for Christ in our hearts and in our world. 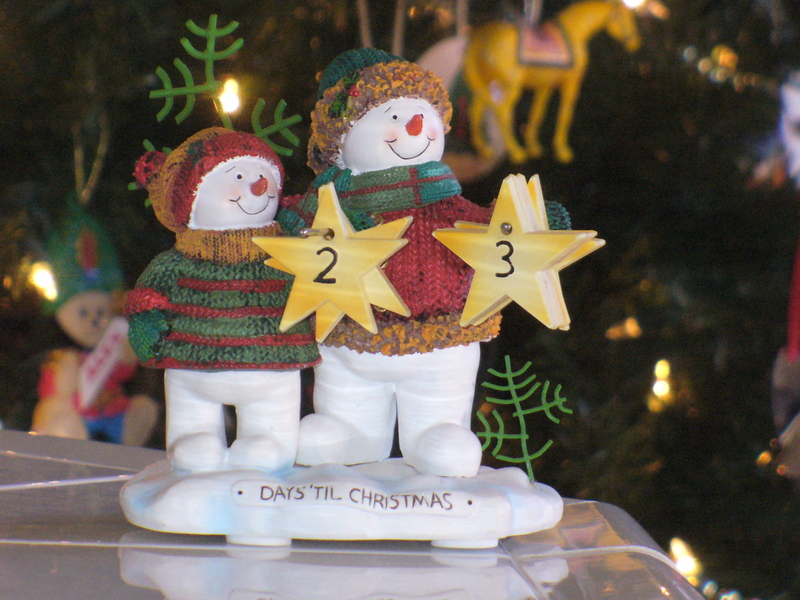 Get the complete printouts at these three Family Fun web pages: calendar, ornaments, activities. It’s not too late to get in on the fun. If you want a list of our activities, comment here and I’ll get it to you. This entry was posted in digital moms, kids and tagged Advent activities, Advent Calendar, Advent craft, digital mom, Family Fun, kids. Bookmark the permalink. Wow, I love your blog! I’ll be back. I’m hoping to do some posts on this very issue — raising kids in a digital world and would love your input. Thanks for reading and for your kind comments. I will definitely look you up.